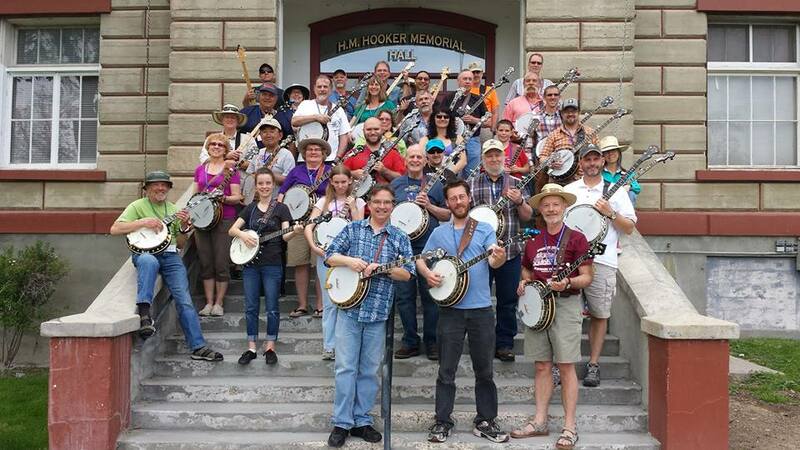 Our goal is to provide high quality bluegrass banjo instruction in an intensive, intimate setting that is FUN! Our instructors are carefully selected for both their proficiency in bluegrass banjo playing and their skill in teaching. We limit our enrollment to sixty-five students, ensuring a low student:teacher ratio with three primary instructors and two assistant instructors. This is an important distinction from banjo camps with much larger numbers of students. Our camp is held at Slocum Hall, the headquarters of the world famous National Old Time Fiddlers' Contest and Festival in Weiser, Idaho. Slocum Hall is part of the wonderful Intermountain Institute that taught traditional skills from 1909 to about 1935 to tens of thousands of students who otherwise did not have access to high school. So we are carrying on the wonderful tradition of the "Old Tute". Classes are held inside Slocum Hall and occasionally under the giant trees on the Slocum Hall grounds. 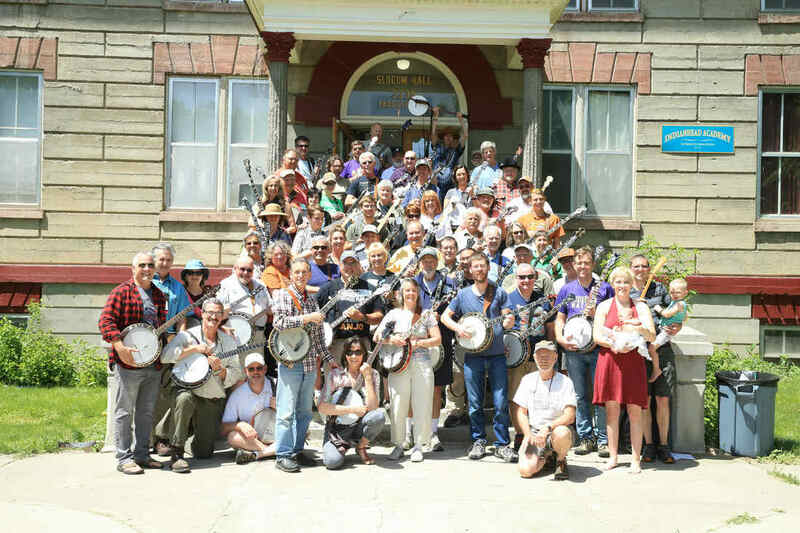 Students are encouraged to stay on campus during the banjo camp so they can participate late into the night in instructor-led jams sessions, jam in their own small groups and socialize with their fellow banjo students, instructors and Slocum Hall staff. Information regarding onsite camping or lodging in Slocum Hall guest rooms is available through the National Old Time Fiddle Contest office: 208-414-0255. Most students arrive during the day on Thursday so they can settle in, get to know fellow banjo campers and instructors and do some evening jamming. The instructors and staff also conduct a short kickoff session answering questions. Four class periods are held on Friday, three on Saturday and the camp concludes with two more periods on Sunday morning. Generally three parallel classes are held during each class period (sometimes four) so students have a wide menu to choose from and ample opportunity to learn from each instructor. We engage students in setting the banjo instruction. In February or March, a curriculum survey will appear here for you to take and help shape the camp to best suit your needs. Registered participants will receive an email reminder when the survey is ready. For questions about this year's camp, you can email us by selecting the Contact us link. 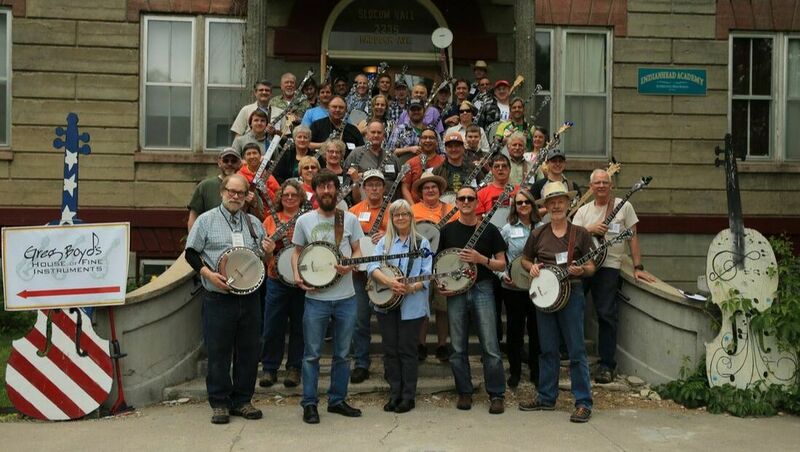 Tuition for 2019 Weiser Banjo Camp is $300. Enrollments are taken first come, first served. A deposit of $100 secures your seat at the camp, whose enrollment is limited to sixty-five students. Deposits are fully refundable for cancellations received before January 31 and 50% refundable before March 15. The full balance is due on May 15, 2019. A Saturday night Banjo Masters Concert also is included in tuition. Tuition also includes instructor-led evening jam sessions. Tuition includes light breakfasts on Friday, Saturday and Sunday, lunch on Friday and Saturday, an Idaho Potato bar dinner on Friday evening and a pulled pork dinner on Saturday evening. Accommodations can be made for special dietary needs. ​Needs based scholarships with tuition reduced to $150 are available for youths age 18 and younger. We ask for a statement from scholars about their financial need and dedication to learning banjo. We also have some scholarships for veterans strongly touched by war and aspiring young scientists or engineers. Contact Gary Eller for details at pgaryeller@aol.com.